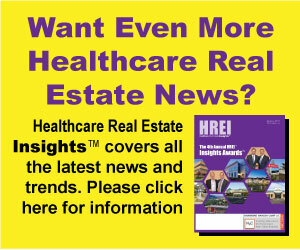 Healthcare Real Estate Capital (“HRE Capital”) served as financial advisor to Pipeline Health (“Pipeline” or “Operator”) related to the acquisition of Tenet Healthcare’s (“Tenet”) regional healthcare platform located throughout Greater Chicago, Illinois (“System”). The System is comprised of two acute-care hospitals totaling 470 beds, four medical office buildings totaling approximately 180,000 square feet and three structured parking facilities. Owned by Tenet since its acquisition of Vanguard Health in 2013, Pipeline acquired the System’s real estate and operations with the goal of enhancing the overall financial and operational performance. On behalf of Pipeline, HRE Capital undertook a competitive effort to identify a well-capitalized investor (“Investor”) positioned to (i) acquire the System’s real estate simultaneous with the acquisition of the operations, (ii) fund certain near- and long-term improvements to the hospitals, and (iii) provide a structure to allow the Operator to participate in the real estate’s potential upside. 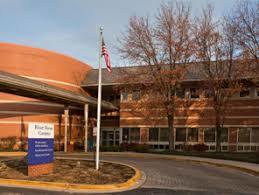 Due to HRE Capital’s knowledge of the healthcare real estate capital markets and Pipeline’s operational expertise, the selected Investor completed a complex joint venture sale / leaseback transaction in a restrictive timeframe while simultaneously meeting Pipeline’s and the Investors’ respective goals. Pipeline is the parent company for a diverse group of healthcare service companies. Through the culmination of 25 years of clinical and operational experience, Pipeline has crafted the tools and strategies to address a wide range of healthcare challenges through its various affiliated companies which are focused on emergency care, urgent care, telemedicine and hospitalist services, among others.